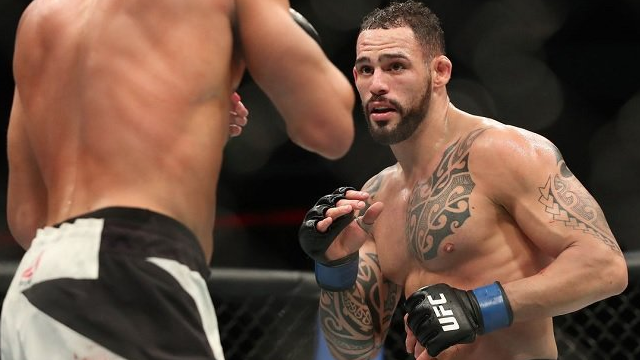 Santiago Ponzinibbio will take a six-fight win streak into the Octagon on Nov. 17 when he faces Neil Magny in the main event of UFC Buenos Aires. But Magny’s not the opponent Ponzinibbio had in mind. With three finishes in his six consecutive wins, which most recently includes Gunnar Nelson and Mike Perry, Ponzinibbio has been searching for a step up in competition. He was originally booked to face Kamaru Usman in the main event of UFC Santiago back in May but pulled out due to injury. However, in an interview with Ag Fight, Ponzinibbio, currently 10th in the UFC welterweight rankings, says the UFC originally promised him a bout with a top-five welterweight. “Yes [I deserved a better name than Magny],” Ponzinibbio said. “But there’s no math in the UFC. When you’re ranked among the best, things change a little. After I defeated Gunnar Nelson, who was the number eight fighter in the rankings — in 82 seconds, with a beautiful knockout, they told me they would give me a top-5 opponent. Ponzinibbio added claims that other fighters were offered the chance to face him but declined. One such fighter, according to him, was former interim welterweight title challenger and former UFC Lightweight Champion Rafael dos Anjos. Dos Anjos and Usman are set to face off in the main event for The Ultimate Fighter 28 Finale card on Nov. 30.